Or, my week on Instagram, basically. 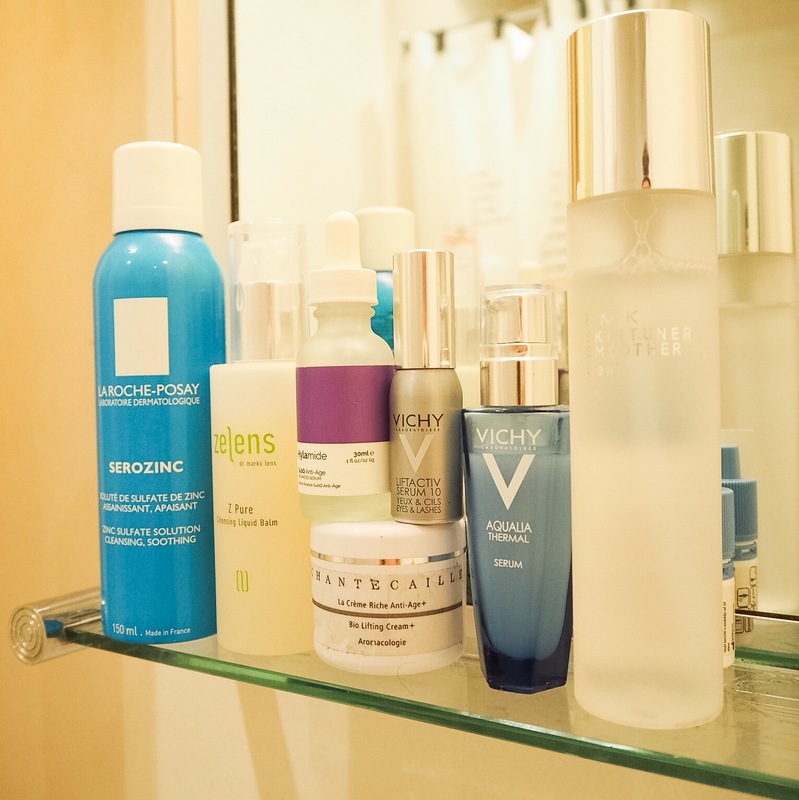 I’ve been doing a project and messing about with a new camera, so my instagram has been full of pictures of skincare. I thought you might like to see them too – although, if you don’t already follow me there, whyever not? 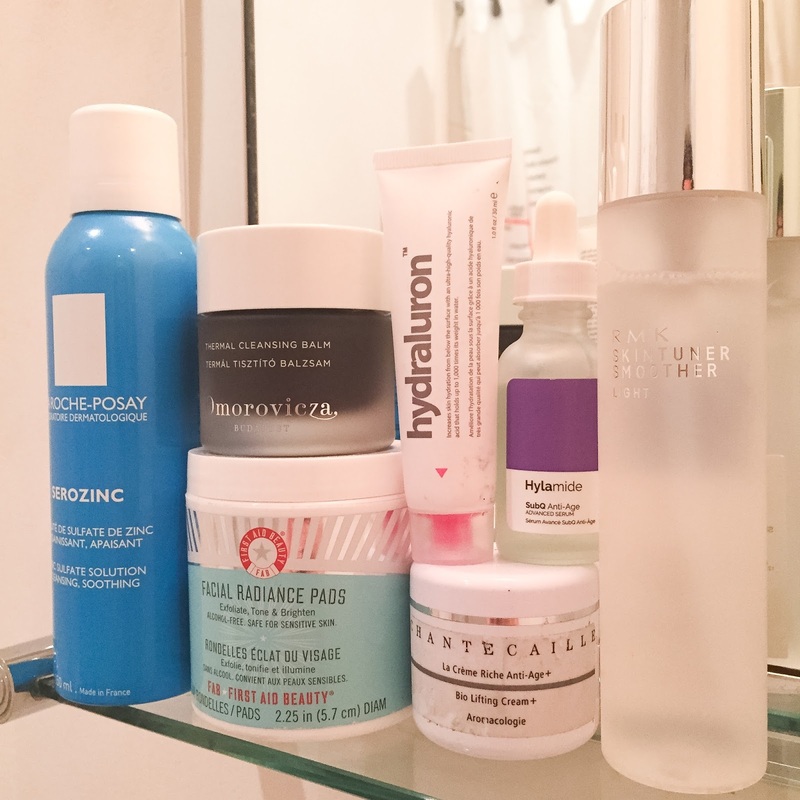 Skin has been a bit parched lately, so I’ve been doubling up on the hyaluronic acid serums recently. Loving the First Aid Beauty pads (very mild, so good for stressed skin), and the moisturising RMK toner. 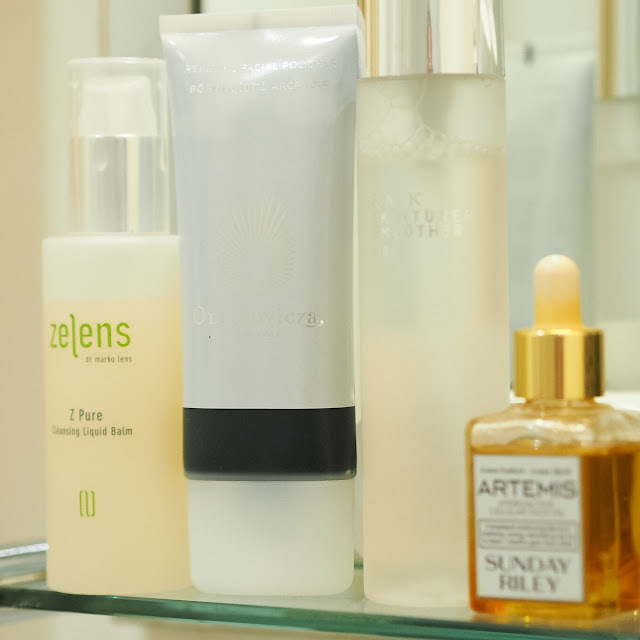 Another parched day, so more doubling up of serums, this time hylamide with Vichy, and bringing back my beloved Zelens cleansing balm. Nighttime treats, the rosy goodness of the Oskia Cleansing Gel, coupled with Good Genes for brightening, and I finally remembered my eye cream … I’m horrific for forgetting my eyecream. Another morning routine on a less parched (rainy) day. Old favourites abound. 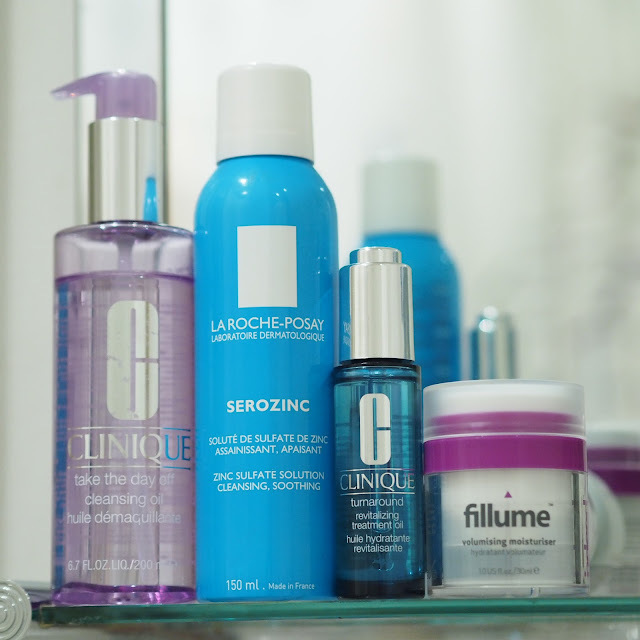 The chantecaille will be released in October, and a full review will be coming soon. 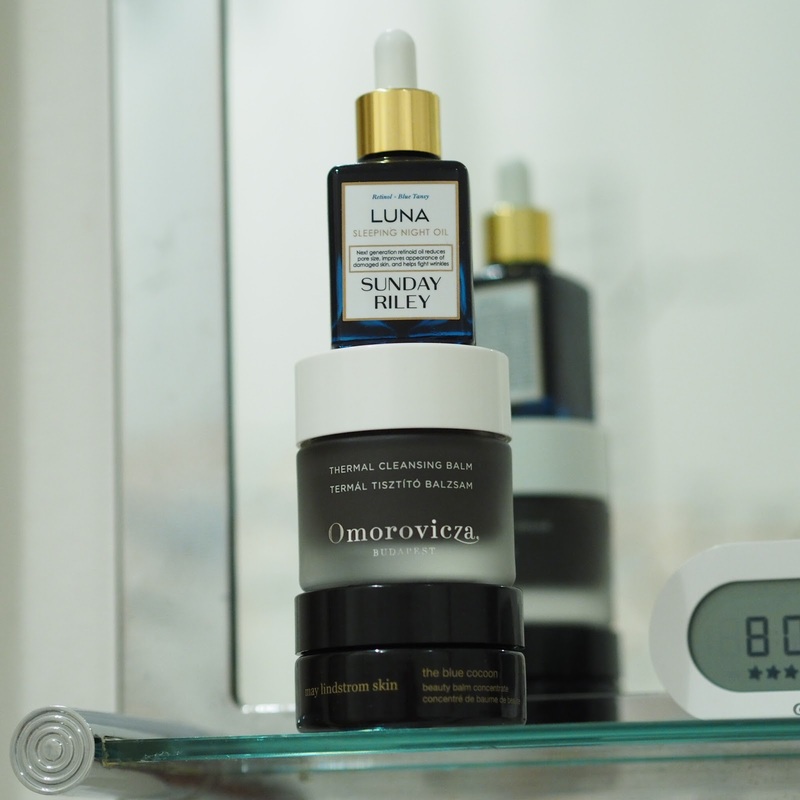 A simple nighttime routine, the Omorovicza facial polish will be on the blog on Wednesday. Yeah, sorry. I just like this picture, and Artemis is a BIG favourite. I like this routine so much, featuring a couple of really old favourites – the May Lindstrom Blue Cocoon and Omorovicza thermal cleansing balm, and something I’m developing a real crush on, the Sunday Riley blogger favourite (which I bought, btw, it’s not a sample) Luna oil. Any questions? You know where the comments are … how was your week in skincare? I love the peek into other's routines & I especially liked the blue & purple pic (2nd from bottom). I don't know if that was arranged on purpose or just happened but it made me smile. 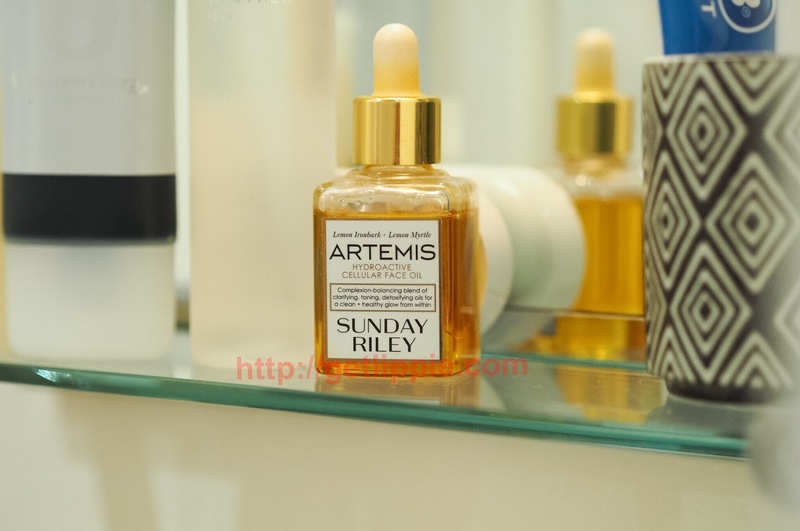 Unfortunately, Sunday Riley oils are out of my price range right now. How do you like the Clinique revitalizing treatment oil? I must ask – do you prefer the Luna Oil or Blue Cocoon? I can only allow myself to purchase one and have spent the past hour researching to no avail!